© Copyright 2018-2019 JENOSIZE Co.,Ltd. 1.2 “Personal Data” or “personal data” means data, whether true or not, about an individual who can be identified from that data, or from that data and other information to which an organisation has or is likely to have access. Common examples of personal data could include name, identification number and contact information. 2. WHEN WILL HappyWork COLLECT PERSONAL DATA? 3. WHAT PERSONAL DATA WILL HappyWork COLLECT? 3.2 If you do not want us to collect the aforementioned information/personal data, you may opt out at any time by notifying our Data Protection Officer in writing about it. Further information on opting out can be found in the section below entitled “How can you opt-out, remove, request access to or modify information you have provided to us?” . Note, however, that opting out of us collecting your personal data or withdrawing your consent for us to collect, use or process your personal data may affect your use of the Services. For example, opting out of the collection of location information will cause its location-based features to be disabled. As with most websites, your computer sends information which may include personal data about you that gets logged by a web server when you browse our Site. This typically includes without limitation your computer’s IP address, operating system, browser name/version, the referring web page, requested page, date/time, and sometimes a “cookie” (which can be disabled using your browser preferences) to help the site remember your last visit. If you are logged in, this information is associated with your personal account. The information is also included in anonymous statistics to allow us to understand how visitors use our site. 6.1 We may from time to time implement “cookies” or other features to allow us or third parties to collect or share information that will help us improve our Site and the Services we offer, or help us offer new services and features. “Cookies” are identifiers we transfer to your computer or mobile device that allow us to recognize your computer or device and tell us how and when the Services or website are used or visited, by how many people and to track movements within our website. We may link cookie information to personal data. Cookies also link to information regarding what items you have selected for purchase and pages you have viewed. This information is used to keep track of your shopping cart, for example. Cookies are also used to deliver content specific to your interest and to monitor website usage. 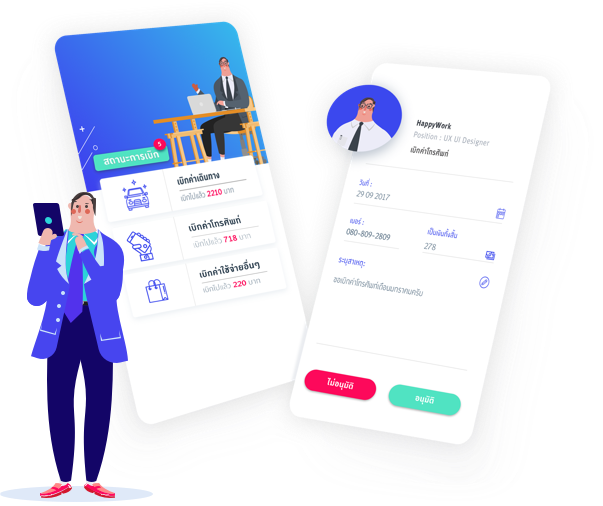 Our Services enable Users to share personal information with each other, in almost all occasions without HappyWork’s involvement, to complete transactions. In a typical transaction, Users may have access to each other’s name, user ID, email address and other contact and postage information. Our Terms of Service require that Users in possession of another User’s personal data (the “Receiving Party”) must (i) comply with all applicable Privacy Laws; (ii) allow the other User (the “Disclosing Party”) to remove him/herself from the Receiving Party’s database; and (iii) allow the Disclosing Party to review what information have been collected about them by the Receiving Party. 12. HOW DOES HappyWork PROTECT CUSTOMER INFORMATION? 13. DOES HappyWork DISCLOSE THE INFORMATION IT COLLECTS FROM ITS VISITORS TO OUTSIDE PARTIES? 13.2 This may require, among other things, share statistical and demographic information about our Users and their use of the Services with suppliers of advertisements and programming. This would not include anything that could be used to identify you specifically or to discover individual information about you. 15.2 We, and third parties, may from time to time make software applications downloads available for your use on or through the Services. These applications may separately access, and allow a third party to view, your identifiable information, such as your name, your user ID, your computer’s IP Address or other information such as any cookies that you may previously have installed or that were installed for you by a third party software application or website. Additionally, these applications may ask you to provide additional information directly to third parties. Third party products or services provided through these applications are not owned or controlled by HappyWork. You are encouraged to read the terms and other policies published by such third parties on their websites or otherwise. 17. WILL HappyWork TRANSFER YOUR INFORMATION OVERSEAS? Your personal data and/or information may be transferred to, stored or processed outside of your country. In most cases, your personal data will be processed in Thailand, where our servers are located and our central database is operated. HappyWork will only transfer your information overseas in accordance with Privacy Laws. 19.2 If you have any complaint or grievance regarding how we are handling your personal data or about how we are complying with Privacy Laws, we welcome you to contact us with your complaint or grievance. E-mail: dpo@HappyWork.com and Attention it to the “Personal Data Protection Officer”. Please send all legal notices to legal@HappyWork.com and Attention it to the “General Counsel”. 19.3 Where it is an email or a letter through which you are submitting a complaint, your indication at the subject header that it is a Privacy Law complaint would assist us in attending to your complaint speedily by passing it on to the relevant staff in our organisation to handle. For example, you could insert the subject header as “Privacy Complaint”. 1.1 Welcome to the Happy Work platform (the “Site”). Please read the following Terms of Service carefully before using this Site or opening a HappyWork account (“Account”) so that you are aware of your legal rights and obligations with respect to HappyWork Limited and its affiliates and subsidiaries (individually and collectively, “HappyWork”, “we”, “us” or “our”). The “Services” we provide or make available include (a) the Site, (b) the services provided by the Site and by HappyWork client software made available through the Site, and (c) all information, linked pages, features, data, text, images, photographs, graphics, music, sounds, video, messages, tags, content, programming, software, application services (including, without limitation, any mobile application services) or other materials made available through the Site or its related services (“Content”). Any new features added to or augmenting the Services are also subject to these Terms of Service. These Terms of Service govern your use of Services provided by HappyWork. 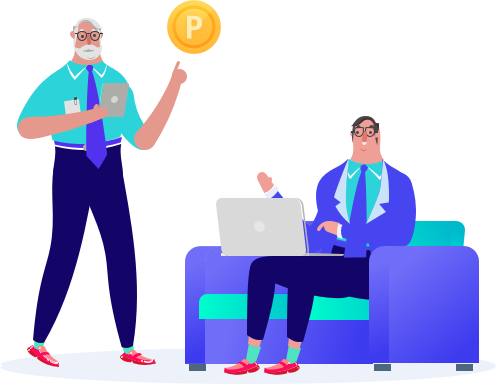 1.2 The Services include an online platform service that provides a place and opportunity for the sale of goods between the buyer (“Buyer”) and the seller (“Seller”) (collectively “you”, “Users” or “Parties”). The actual contract for sale is directly between Buyer and Seller and HappyWork is not a party to that or any other contract between Buyer and Seller and accepts no obligations in connection with any such contract. Parties to such transaction will be entirely responsible for the sales contract between them, the listing of goods, warranty of purchase and the like. HappyWork is not involved in the transaction between Users. HappyWork may or may not pre-screen Users or the Content or information provided by Users. HappyWork reserves the right to remove any Content or information posted by you on the Site in accordance to Section 6.4 herein. HappyWork cannot ensure that Users will actually complete a transaction. 1.4 HappyWork reserves the right to change, modify, suspend or discontinue all or any part of this Site or the Services at any time or upon notice as required by local laws. HappyWork may release certain Services or their features in a beta version, which may not work correctly or in the same way the final version may work, and we shall not be held liable in such instances. HappyWork may also impose limits on certain features or restrict your access to parts of, or the entire, Site or Services in its sole discretion and without notice or liability. 1.5 HappyWork reserves the right to refuse to provide you access to the Site or Services or to allow you to open an Account for any reason. BY USING HappyWork SERVICES OR OPENING AN ACCOUNT, YOU GIVE YOUR IRREVOCABLE ACCEPTANCE OF AND CONSENT TO THE TERMS OF THIS AGREEMENT, INCLUDING THOSE ADDITIONAL TERMS AND CONDITIONS AND POLICIES REFERENCED HEREIN AND/OR LINKED HERETO. (c) shall not, whether directly or indirectly, disclose your User Information to any third party, or otherwise allow any third party to access or use your User Information, without HappyWork’s prior written consent. 3.1 HappyWork grants you a limited and revocable license to access and use the Services subject to the terms and conditions of these Terms of Service. 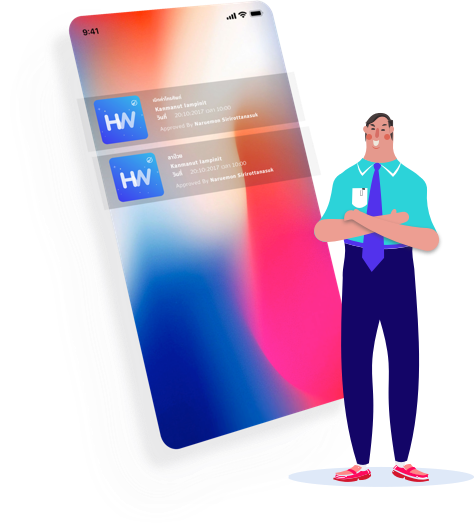 All proprietary Content, trademarks, service marks, brand names, logos and other intellectual property (“Intellectual Property”) displayed in the Site are the property of HappyWork and where applicable, third party proprietors identified in the Site. No right or licence is granted directly or indirectly to any party accessing the Site to use or reproduce any Intellectual Property, and no party accessing the Site shall claim any right, title or interest therein. By using or accessing the Services you agree to comply with the copyright, trademark, service mark, and all other applicable laws that protect the Services, the Site and its Content. You agree not to copy, distribute, republish, transmit, publicly display, publicly perform, modify, adapt, rent, sell, or create derivative works of any portion of the Services, the Site or its Content. You also may not, without our prior written consent, mirror or frame any part or whole of the contents of this Site on any other server or as part of any other website. In addition, you agree that you will not use any robot, spider or any other automatic device or manual process to monitor or copy our Content, without our prior written consent (such consent is deemed given for standard search engine technology employed by Internet search websites to direct Internet users to this website). 3.2 You are welcome to link to the Site from your website, provided that your website does not imply any endorsement by or association with HappyWork. You acknowledge that HappyWork may, in its sole discretion and at any time, discontinue providing the Services, either in part or as a whole, without notice. Any software provided by us to you as part of the Services is subject to the provisions of these Terms of Service. HappyWork reserves all rights to the software not expressly granted by HappyWork hereunder. Any third-party scripts or code, linked to or referenced from the Services, are licensed to you by the third parties that own such scripts or code, not by HappyWork. 5.2 You agree to (a) keep your password confidential and use only your User ID and password when logging in, (b) ensure that you log out from your account at the end of each session on the Site, (c) immediately notify HappyWork of any unauthorised use of your Account, User ID and/or password, and (d) ensure that your Account information is accurate and up-to-date. You are fully responsible for all activities that occur under your User ID and Account even if such activities or uses were not committed by you. HappyWork will not be liable for any loss or damage arising from unauthorised use of your password or your failure to comply with this Section. 5.3 You agree that HappyWork may for any reason, in its sole discretion and with or without notice or liability to you or any third party, immediately terminate your Account and your User ID, remove or discard from the Site any Content associated with your Account and User ID, withdraw any subsidies offered to you, cancel any transactions associated with your Account and User ID, temporarily withhold any sale proceeds or refunds, and/or take any other actions that HappyWork deems necessary. Grounds for such actions may include, but are not limited to, (a) extended periods of inactivity, (b) violation of the letter or spirit of these Terms of Service, (c) illegal, fraudulent, harassing, defamatory, threatening or abusive behaviour (d) having multiple user accounts for illegitimate reasons, or (e) behaviour that is harmful to other Users, third parties, or the business interests of HappyWork. Use of an Account for illegal, fraudulent, harassing, defamatory, threatening or abusive purposes may be referred to law enforcement authorities without notice to you. If a legal dispute arises or law enforcement action is commenced relating to your Account or your use of the Services for any reason, HappyWork may terminate your Account immediately with or without notice. 5.4 Users may terminate their Account if they notify HappyWork in writing (including via email at happywork@jenosize.com ) of their desire to do so. Notwithstanding any such termination, Users remain responsible and liable for any incomplete transaction (whether commenced prior to or after such termination), shipment of the product, payment for the product, or the like, and Users must contact HappyWork after he or she has promptly and effectively carried out and completed all incomplete transactions according to the Terms of Service. HappyWork shall have no liability, and shall not be liable for any damages incurred due to the actions taken in accordance with this section. Users waive any and all claims based on any such action taken by HappyWork. 6.1 The license for use of this Site and the Services is effective until terminated. This license will terminate as set forth under these Terms of Service or if you fail to comply with any term or condition of these Terms of Service. In any such event, HappyWork may effect such termination with or without notice to you. 6.3 You understand that all Content, whether publicly posted or privately transmitted, is the sole responsibility of the person from whom such Content originated. This means that you, and not HappyWork, are entirely responsible for all Content that you upload, post, email, transmit or otherwise make available through the Site. You understand that by using the Site, you may be exposed to Content that you may consider to be offensive, indecent or objectionable. To the maximum extent permitted by applicable law, under no circumstances will HappyWork be liable in any way for any Content, including, but not limited to, any errors or omissions in any Content, or any loss or damage of any kind incurred as a result of the use of, or reliance on, any Content posted, emailed, transmitted or otherwise made available on the Site. 6.4 You acknowledge that HappyWork and its designees shall have the right (but not the obligation) in their sole discretion to pre-screen, refuse, delete, remove or move any Content, including without limitation any Content or information posted by you, that is available on the Site. Without limiting the foregoing, HappyWork and its designees shall have the right to remove any Content (i) that violates these Terms of Service; (ii) if we receive a complaint from another User; (iii) if we receive a notice of intellectual property infringement or other legal instruction for removal; or (iv) if such Content is otherwise objectionable. We may also block delivery of a communication (including, without limitation, status updates, postings, messages and/or chats) to or from the Services as part of our effort to protect the Services or our Users, or otherwise enforce the provisions of these Terms and Conditions. You agree that you must evaluate, and bear all risks associated with, the use of any Content, including, without limitation, any reliance on the accuracy, completeness, or usefulness of such Content. In this regard, you acknowledge that you have not and, to the maximum extent permitted by applicable law, may not rely on any Content created by HappyWork or submitted to HappyWork, including, without limitation, information in HappyWork Forums and in all other parts of the Site. 6.5 You acknowledge, consent to and agree that HappyWork may access, preserve and disclose your Account information and Content if required to do so by law or pursuant to an order of a court or by any governmental or regulatory authority having jurisdiction over HappyWork or in a good faith belief that such access preservation or disclosure is reasonably necessary to: (a) comply with legal process; (b) enforce these Terms of Service; (c) respond to claims that any Content violates the rights of third parties; (d) respond to your requests for customer service; or (e) protect the rights, property or personal safety of HappyWork, its Users and/or the public. 8.1 The Users are independent individuals or businesses and they are not associated with HappyWork in any way. HappyWork is neither the agent nor representative of the Users and does not hold and/or own any of the merchandises listed on the Site. 8.2 If you are an intellectual property right owner (“IPR Owner”) or an agent duly authorised by an IPR Owner (“IPR Agent”) and you believe that your right or your principal’s right has been infringed, please notify us in writing by email to support@HappyWork.sg and copy legal@HappyWork.com and provide us the documents requested below to support your claim. Do allow us time to process the information provided. HappyWork will respond to your complaint as soon as practicable. 8.3 Complaints under this Section 8 must be provided in the form prescribed by HappyWork, which may be updated from time to time, and must include at least the following: (a) a physical or electronic signature of an IPR Owner or IPR Agent (collectively, “Informant”); (b) a description of the type and nature of intellectual property right that is allegedly infringed and proof of rights; (c) details of the listing which contains the alleged infringement; (d) sufficient information to allow HappyWork to contact the Informant, such as Informant’s physical address, telephone number and e-mail address; (e) a statement by Informant that the complaint is filed on good faith belief and that the use of the intellectual property as identified by the Informant is not authorised by the IPR Owner or the law; (f) a statement by the Informant that the information in the notification is accurate, indemnify us for any damages we may suffer as a result of the information provided by and that the Informant has the appropriate right or is authorised to act on IPR Owner’s behalf to the complaint. Buyer may make payments through an Automated Teller Machine or internet bank transfer (“Bank Transfer”) to our designated HappyWork Guarantee Account (as defined in Section 11). Buyer must provide HappyWork with the transfer receipt or payment transaction reference for verification purposes through the ‘Upload Receipt’ function found in HappyWork’s app as payment confirmation. If payment confirmation is not received by HappyWork within three (3) days, Buyer’s order will be cancelled. 9.3 HappyWork takes no responsibility and assume no liability for any loss or damages to Buyer arising from shipping information and/or payment information entered by Buyer or wrong remittance by Buyer in connection with the payment for the items purchased. We reserve the right to check whether Buyer is duly authorised to use certain payment method, and may suspend the transaction until such authorisation is confirmed or cancel the relevant transaction where such confirmation is not available. 9.4 At the moment, HappyWork is only able to make payment to Users via bank transfer. Hence, Users are required to provide HappyWork with his/her banking details in order to receive payments i.e. from the sale of item or refund from HappyWork. 11.1 HappyWork Guarantee is a service provided by HappyWork or its authorised agent to protect purchases. To protect against the risk of liability, payment for purchases made to Seller using the Services will be held by HappyWork or its authorised agent (“HappyWork Guarantee Account”) and HappyWork will not use your funds for its operating expenses or any other corporate purposes. Seller will not receive interest or other earnings from the sum you have paid into HappyWork Guarantee Account. (d) such other time as HappyWork reasonably determines that a distribution of Buyer’s Purchase Monies is appropriate, including, without limitation, where it deems reasonably necessary to comply with applicable law or a court order or to enforce these Terms of Service. HappyWork Guarantee is only offered to Buyers who have made payment through the channels provided by HappyWork into HappyWork Guarantee Account. Offline arrangements between Buyer and Seller will not be covered under HappyWork Guarantee. 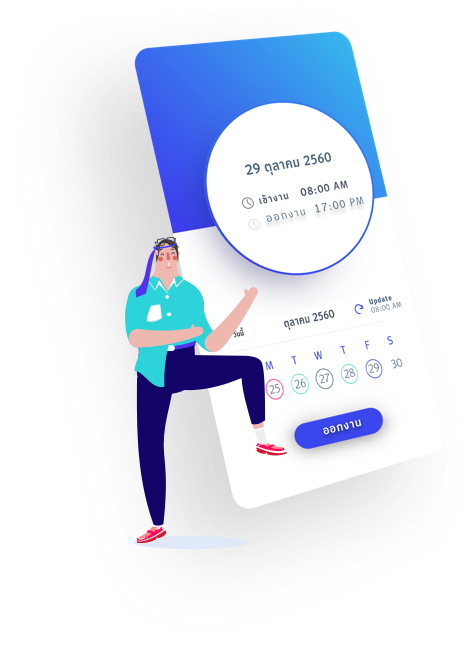 11.3 Payments made through HappyWork channels will be held in the HappyWork Guarantee Account for a specified period of time (the “HappyWork Guarantee Period”). To find out more about the HappyWork Guarantee Period, please click this link. Buyer may apply for a one-time extension of HappyWork Guarantee Period prior to the expiry of the applicable HappyWork Guarantee Period, subject to and in accordance with the Refunds and Return Policy. Upon Buyer’s application, HappyWork Guarantee Period may be extended for a maximum period of three (3) days unless HappyWork in its sole discretion determines that a longer extension is appropriate or required. 11.5 The HappyWork Guarantee is in addition and without limitation to Buyer’s and Seller’s obligations under applicable law, which may go above and beyond what is provided for by the HappyWork Guarantee. The HappyWork Guarantee is neither intended nor designed to assist Buyer or Seller in complying with its own legal obligations, for which each party will remain solely responsible, and HappyWork accepts no liability in connection with the same. Without limitation, the HappyWork Guarantee does not constitute a product warranty. 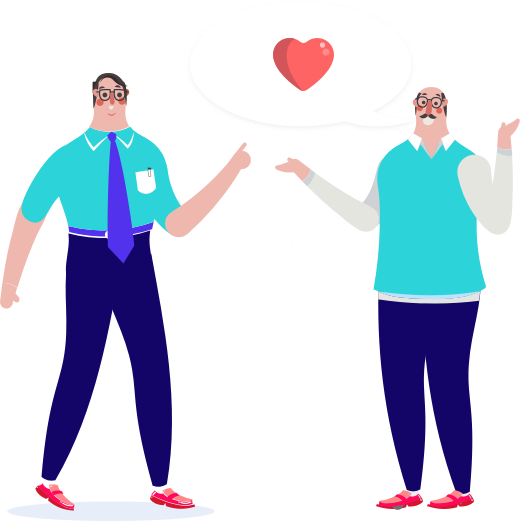 11.6 Buyer and Seller acknowledge and agree that HappyWork’s decision (including any appeals) in respect of and relating to any issues concerning the HappyWork Guarantee is final. 11.7 For the avoidance of doubt, any transactions not conducted on the Site will not qualify for the protection offered by HappyWork Guarantee. 13.1 HappyWork will inform Seller when HappyWork receives Buyer’s Purchase Monies. Unless otherwise agreed with HappyWork, Seller should then make the necessary arrangements to have the purchased item delivered to Buyer and provide details such as the name of the delivery company, the tracking number, etc. to Buyer through the Site. 13.2 Seller must use his/her best effort to ensure that Buyer receives the purchased items within, whichever applicable, HappyWork Guarantee Period or the time period specified (for offline payment) by Seller on Seller’s listing. 13.3 Users understand that Seller bears all risk attached to the delivery of the purchased item(s) and warrants that he/she has or will obtain adequate insurance coverage for the delivery of the purchased item(s). In the event where the purchased item(s) is damaged,lost or failure of delivery during the course of delivery, Users acknowledge and agree that HappyWork will not be liable for any damage, expense, cost or fees resulted therefrom and Seller and/or Buyer will reach out to the logistic service provider to resolve such dispute. 13.4 For Cross-Border Transaction. Users understand that all cross-border import and export transaction are subject to local laws and regulations. Seller should familiarise himself/herself with all import and export restrictions that apply to the designating country. Seller acknowledges that HappyWork cannot provide any legal advice in this regard and agrees that Seller will bear all risks and liabilities associated with import and export of any Seller’s item to the designating country. 14.1 Buyer may only cancel his/her order prior to the payment of Buyer’s Purchase Monies into HappyWork Guarantee Account. 14.2 Buyer may apply for the return of the purchased item and refund prior to the expiry of HappyWork Guarantee Period, if applicable, subject to and in accordance with HappyWork’s Refunds and Return Policy. Please refer to HappyWork’s Refunds and Return Policy for further information. 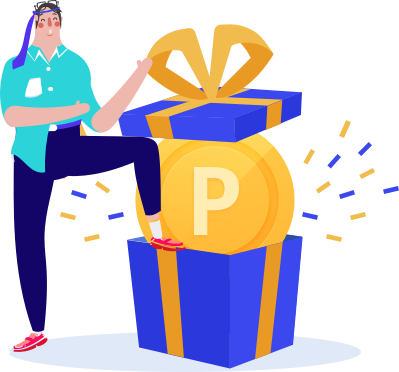 14.3 HappyWork reserves the right to cancel any transaction on the Site and Buyer agrees that Buyer’s sole remedy will be to receive a refund of the Buyer’s Purchase Monies paid into HappyWork Guarantee Account. 14.4 If you have redeemed HappyWork Coin for your transaction and you are successful in obtaining a refund based on HappyWork’s Refunds and Return Policy, HappyWork shall refund the monies you have actually paid for the item and credit back any redeemed HappyWork Coin to your Account separately. 14.5 HappyWork does not monitor the cancellation, return and refund process for offline payment. 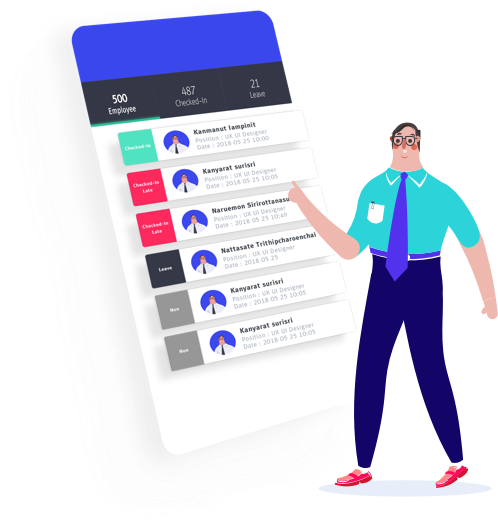 16.1 HappyWork will be launching keyword advertising and/or other advertising services (hereinafter referred to as “Paid Advertising”) on its Paid Advertising Site on an ongoing basis. Sellers may purchase the Paid Advertising services. HappyWork provides the Paid Advertising services in accordance with these Terms of Service and any explanatory materials published on this Site, the Paid Advertising Site or otherwise communicated to Sellers in writing (hereinafter referred to as the “Paid Advertising Rules”). Sellers who purchase Paid Advertising services agree to be bound by the Paid Advertising Rules. If you are not agreeable to being bound by the Paid Advertising Rules, do not buy any Paid Advertising Services. 16.3 You may purchase Paid Advertising services by purchasing advertising credits on the Paid Advertising Site (“Advertising Credits”), and fees payable for the Paid Advertising services will be deducted from the Advertising Credits on a pay-per-click basis, as determined by HappyWork. All Advertising Credits will be subject to goods and services tax. Except as otherwise provided in the applicable Paid Advertising Rules, you may not cancel the order and/or request for a refund after you have purchased Advertising Credits and completed the payment process. 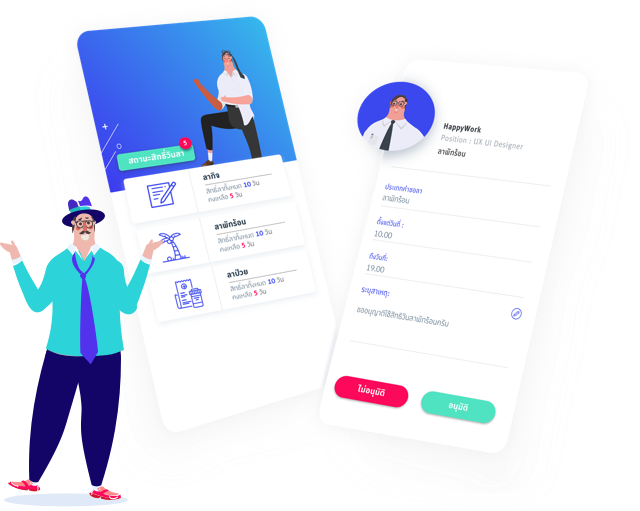 HappyWork will provide an electronic invoice for Paid Advertising services purchased on a monthly basis and Sellers are to ensure that a correct and working e-mail address is provided for receiving such invoices. The invoice will contain the name and address provided by you, the amount of Advertising Credits purchased and the remaining balance of your Advertising Credits as at the date of the invoice. 16.5 The goods you list on the Site must comply with all relevant laws and regulations, the Paid Advertising Rules, these Terms of Service and the Prohibited and Restricted Items Policy. You understand and agree that HappyWork has the right to immediately remove any listing which violates any of the foregoing and any Paid Advertising fees that you have paid or Advertising Credits you have used in relation to any listing removed pursuant to this Section 16.5 will not be refunded. HappyWork will also not be liable to compensate you for any loss whatsoever in relation to listings removed pursuant to this Section 16.5. 16.6 You understand and agree that HappyWork does not warrant or guarantee any increase in viewership or sales of your items as a result of the Paid Advertising services. 16.7 You are advised to only purchase Paid Advertising services after fully considering your budget and intended advertising objectives. Except as otherwise provided in these Terms of Service or the Paid Advertising Rules, HappyWork shall not be liable for any compensation or be subject to any liability (including but not limited to actual expenses and lost profits) for the results or intended results of any Paid Advertising service. 16.8 IF, NOTWITHSTANDING ANYTHING IN THESE TERMS OF SERVICE, HappyWork IS FOUND BY A COURT OF COMPETENT JURISDICTION TO BE LIABLE (INCLUDING FOR GROSS NEGLIGENCE) IN RELATION TO ANY PAID ADVERTISING SERVICE, THEN, TO THE MAXIMUM EXTENT PERMITTED BY APPLICABLE LAW, ITS LIABILITY TO YOU OR TO ANY THIRD PARTY IS LIMITED TO THE AMOUNT PAID BY YOU FOR THE PAID ADVERTISING SERVICE IN QUESTION ONLY. 19.1 HappyWork encourages Users to communicate with each other in the event where problem arises in a transaction. As HappyWork is a platform for Users to conduct trading, Buyer should contact Seller directly for any issue relating to the Item purchased. In the alternative, Users may approach the claims tribunal of their local jurisdiction to resolve any dispute arising from a transaction. 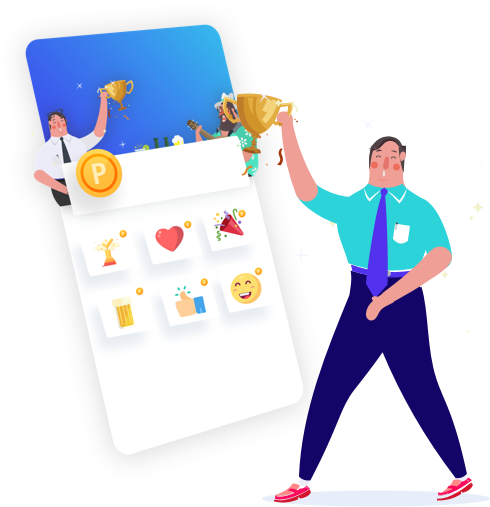 19.2 Users covered under HappyWork Guarantee may send written request to HappyWork to assist them in resolving issues which may arise from a transaction upon request. HappyWork may, at its sole discretion and with absolutely no liability to Seller and Buyer, take all necessary steps to assist Users resolving their dispute. For more information, please refer to HappyWork’s Refunds and Return Policy. 19.3 To be clear, the services provided under this Section 16 are only available to Buyers covered under HappyWork Guarantee. Buyer using other payment means for his/her purchase should contact Seller directly. 21.1 THE SERVICES ARE PROVIDED “AS IS” AND WITHOUT ANY WARRANTIES, CLAIMS OR REPRESENTATIONS MADE BY HappyWork OF ANY KIND EITHER EXPRESSED, IMPLIED OR STATUTORY WITH RESPECT TO THE SERVICES, INCLUDING, WITHOUT LIMITATION, WARRANTIES OF QUALITY, PERFORMANCE, NON-INFRINGEMENT, MERCHANTABILITY, OR FITNESS FOR A PARTICULAR PURPOSE, NOR ARE THERE ANY WARRANTIES CREATED BY COURSE OF DEALING, COURSE OF PERFORMANCE OR TRADE USAGE. WITHOUT LIMITING THE FOREGOING AND TO THE MAXIMUM EXTENT PERMITTED BY APPLICABLE LAW, HappyWork DOES NOT WARRANT THAT THE SERVICES, THIS SITE OR THE FUNCTIONS CONTAINED THEREIN WILL BE AVAILABLE, ACCESSIBLE, UNINTERRUPTED, TIMELY, SECURE, ACCURATE, COMPLETE OR ERROR-FREE, THAT DEFECTS, IF ANY, WILL BE CORRECTED, OR THAT THIS SITE AND/OR THE SERVER THAT MAKES THE SAME AVAILABLE ARE FREE OF VIRUSES, CLOCKS, TIMERS, COUNTERS, WORMS, SOFTWARE LOCKS, DROP DEAD DEVICES, TROJAN-HORSES, ROUTINGS, TRAP DOORS, TIME BOMBS OR ANY OTHER HARMFUL CODES, INSTRUCTIONS, PROGRAMS OR COMPONENTS. 21.3 HappyWork HAS NO CONTROL OVER AND, TO THE MAXIMUM EXTENT PERMITTED BY APPLICABLE LAW, DOES NOT GUARANTEE OR ACCEPT ANY RESPONSIBILITY FOR: (A) THE FITNESS FOR PURPOSE, EXISTENCE, QUALITY, SAFETY OR LEGALITY OF ITEMS AVAILABLE VIA THE SERVICES; OR (B) THE ABILITY OF SELLERS TO SELL ITEMS OR OF BUYERS TO PAY FOR ITEMS. IF THERE IS A DISPUTE INVOLVING ONE OR MORE USERS, SUCH USERS AGREE TO RESOLVE SUCH DISPUTE BETWEEN THEMSELVES DIRECTLY AND, TO THE MAXIMUM EXTENT PERMITTED BY APPLICABLE LAW, RELEASE HappyWork AND ITS AFFILIATES FROM ANY AND ALL CLAIMS, DEMANDS AND DAMAGES ARISING OUT OF OR IN CONNECTION WITH ANY SUCH DISPUTE. 22.1.2 ANY INDIRECT, INCIDENTAL, SPECIAL OR CONSEQUENTIAL DAMAGES, ARISING OUT OF OR IN CONNECTION WITH THE USE OR INABILITY TO USE THIS SITE OR THE SERVICES, INCLUDING, WITHOUT LIMITATION, ANY DAMAGES RESULTING THEREFROM, EVEN IF HappyWork HAS BEEN ADVISED OF THE POSSIBILITY OF SUCH DAMAGES. 22.3 IF, NOTWITHSTANDING THE PREVIOUS SECTIONS, HappyWork IS FOUND BY A COURT OF COMPETENT JURISDICTION TO BE LIABLE (INCLUDING FOR GROSS NEGLIGENCE), THEN, TO THE MAXIMUM EXTENT PERMITTED BY APPLICABLE LAW, ITS LIABILITY TO YOU OR TO ANY THIRD PARTY IS LIMITED TO THE LESSER OF: (A) ANY AMOUNTS DUE AND PAYABLE TO YOU PURSUANT TO THE HappyWork GUARANTEE; AND (B) SG $100 (ONE HUNDRED Thailand DOLLARS). 22.4 NOTHING IN THESE TERMS OF SERVICE SHALL LIMIT OR EXCLUDE ANY LIABILITY FOR DEATH OR PERSONAL INJURY CAUSED BY HappyWork’S NEGLIGENCE, FOR FRAUD OR FOR ANY OTHER LIABILITY ON THE PART OF HappyWork THAT CANNOT BE LAWFULLY LIMITED AND/OR EXCLUDED. Third party links provided throughout the Site will let you leave this Site. These links are provided as a courtesy only, and the sites they link to are not under the control of HappyWork in any manner whatsoever and you therefore access them at your own risk. HappyWork is in no manner responsible for the contents of any such linked site or any link contained within a linked site, including any changes or updates to such sites. HappyWork is providing these links merely as a convenience, and the inclusion of any link does not in any way imply or express affiliation, endorsement or sponsorship by HappyWork of any linked site and/or any of its content therein. 24.1 By submitting Content for inclusion on the Services, you represent and warrant that you have all necessary rights and/or permissions to grant the licenses below to HappyWork. You further acknowledge and agree that you are solely responsible for anything you post or otherwise make available on or through the Services, including, without limitation, the accuracy, reliability, nature, rights clearance, compliance with law and legal restrictions associated with any Content contribution. You hereby grant HappyWork and its successors a perpetual, irrevocable, worldwide, non-exclusive, royalty-free, sub-licensable and transferable license to use, copy, distribute, republish, transmit, modify, adapt, create derivative works of, publicly display, and publicly perform such Content contribution on, through or in connection with the Services in any media formats and through any media channels, including, without limitation, for promoting and redistributing part of the Services (and its derivative works) without need of attribution and you agree to waive any moral rights (and any similar rights in any part of the world) in that respect. You understand that your contribution may be transmitted over various networks and changed to conform and adapt to technical requirements. 25.1 Each contributor to the Services of data, text, images, sounds, video, software and other Content is solely responsible for the accuracy, reliability, nature, rights clearance, compliance with law and legal restrictions associated with their Content contribution. As such, HappyWork is not responsible to, and shall not, regularly monitor or check for the accuracy, reliability, nature, rights clearance, compliance with law and legal restrictions associated with any contribution of Content. You will not hold HappyWork responsible for any User’s actions or inactions, including, without limitation, things they post or otherwise make available via the Services. 25.2 In addition, the Services may contain links to third party products, websites, services and offers. These third party links, products, websites and services are not owned or controlled by HappyWork. Rather, they are operated by, and are the property of, the respective third parties, and may be protected by applicable copyright or other intellectual property laws and treaties. HappyWork has not reviewed, and assumes no responsibility for the content, functionality, security, services, privacy policies, or other practices of these third parties. You are encouraged to read the terms and other policies published by such third parties on their websites or otherwise. By using the Services, you agree that HappyWork shall not be liable in any manner due to your use of, or inability to use, any website or widget. You further acknowledge and agree that HappyWork may disable your use of, or remove, any third party links, or applications on the Services to the extent they violate these Terms of Service. (e) We may hold your funds for a period of time reasonably needed to protect against the risk of liability to HappyWork or a third party, or if we believe that you may be engaging in potentially fraudulent or suspicious activity and/or transactions. “Chargeback” means a request that a Buyer files directly with his or her debit or credit card company or debit or credit card issuing bank to invalidate a payment. “Claim” means a challenge to a payment that a Buyer or Seller files directly with HappyWork. “Reversal” means the reversal of a payment by HappyWork because (a) it is invalidated by the sender’s bank, (b) it was sent to you in error by HappyWork, (c) the sender of the payment did not have authorization to send the payment (for example: the sender used a stolen credit card), (d) you received the payment for activities that violated these Terms of Service or any other HappyWork policy, or (e) HappyWork decided a Claim against you. You agree to indemnify, defend and hold harmless HappyWork, and its shareholders, subsidiaries, affiliates, directors, officers, agents, co-branders or other partners, and employees (collectively, the “Indemnified Parties”) from and against any and all claims, actions, proceedings, and suits and all related liabilities, damages, settlements, penalties, fines, costs and expenses (including, without limitation, any other dispute resolution expenses) incurred by any Indemnified Party arising out of or relating to: (a) the HappyWork Guarantee, (b) the hosting, operation, management and/or administration of the Services by or on behalf of HappyWork, (c) your violation or breach of any term of these Terms of Service or any policy or guidelines referenced herein, (d) your use or misuse of the Services, or (e) your breach of any law or any rights of a third party. These Terms of Service shall be governed by and construed in accordance with the laws of the Thailand without regard to its conflict of law rules. The United Nations Convention on Contracts for the International Sale of Goods and the Uniform Computer Information Transaction Act, to the extent applicable, are expressly disclaimed. Unless otherwise required by applicable laws, any dispute, controversy, claim or difference of any kind whatsoever shall arising out of or relating to these Terms of Service against or relating to HappyWork or any Indemnified Party under these Terms of Service shall be referred to and finally resolved by arbitration in Thailand in accordance with the Arbitration Rules of the Thailand Arbitration Center (“THAC Rules”) for the time being in force, which rules are deemed to be incorporated by reference in this Section. There will be one (1) arbitrator and the language of the arbitration shall be English. 31.1 HappyWork reserves all rights not expressly granted herein. 31.2 HappyWork may modify these Terms of Service at any time by posting the revised Terms of Service on this Site. Your continued use of this Site after such changes have been posted shall constitute your acceptance of such revised Terms of Service. 31.4 Nothing in these Terms of Service shall constitute a partnership, joint venture or principal-agent relationship between you and HappyWork, nor does it authorise you to incur any costs or liabilities on HappyWork’s behalf. 31.5 The failure of HappyWork at any time or times to require performance of any provision hereof shall in no manner affect its right at a later time to enforce the same unless the same is waived in writing. 31.6 These Terms of Service are solely for your and our benefit and are not for the benefit of any other person or entity, except for HappyWork’s affiliates and subsidiaries (and each of HappyWork’s and its affiliates’ and subsidiaries’ respective successors and assigns). 31.8 You agree to comply with all applicable laws, statutes, regulations and codes relating to anti-bribery and corruption including without limitation the UK Bribery Act, the US Foreign Corrupt Practices Act and the Thailand Prevention of Corruption Act and confirm that you have and shall have in place all policies and procedures needed to ensure compliance with such requirements. 31.9 If you have any questions or concerns about these Terms of Service or any issues raised in these Terms of Service or on the Site, please contacts us at: support@HappyWork.sg. LEGAL NOTICES: Please send all legal notices to legal@HappyWork.com and Attention it to the “General Counsel”. Register System is not support this browser!